This class is a study of the language, concepts, and techniques of Algebra. Ultimately, this course will prepare students to approach and solve problems following a logical succession of steps. This course introduces basic algebraic skills including relations, functions, graphing, radicals, factoring polynomials, rationals, probability, statistics and quadratic equations. 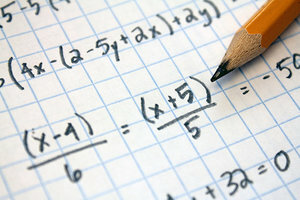 Pre-Algebra is a pre-requisite or a recommendation from math teacher to go from 7th grade math to Algebra. This course satisfies the mandatory algebra I requirement for graduation.